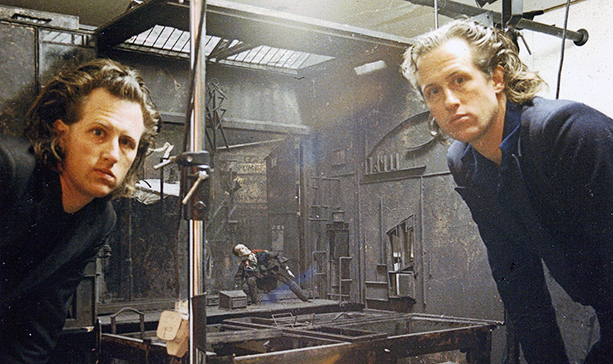 Stephen and Timothy Quay (June 17, 1947 are identical twin brothers who are often referred to as the Brothers Quay or Quay Brothers. They work primarily in animation films that feature puppets partially put together from doll parts. Their works are often dark and moody and Gothic in nature with virtually no dialogue or dialogue with no meaning. Their work of avant-garde of stop-motion puppet animation and live-action movie-making has been compared to Eastern European tradition of filmmakers like Walerian Borowczyk and Jan Svankmajer and the Russian Yuri Norstein. Quay Brothers films are highly reliant on their music scores, many of which have been written especially for them by the Polish composer Leszek Jankowski. Although best known for their work in film, they have collaborated with the theatre creating set design for ballet and opera. The Museum of Modern Art announced that this August they will present a Quay retrospective, their first comprehensive exhibit, presenting the Brothers’ work in all their creative endeavors. The show will be curated by Ron Magliozzi, who also helped put together MoMA’s Tim Burton show. The exhibit will bring toether their films, their never-before-seen moving image works, drawings and objects.